Like the piano, the harpsichord (cembalo in other languages) is a musical instrument that is played by the means of a keyboard. However, it exists years before the idea of the piano came into though. Many would say that the piano models most of the physical features of this great instrument because the shape, keyboard layout and strings almost look the same. Have you ever try to compare the physical features of both instruments? You can always collect pictures of both instrument and come up with your own findings. The Cembalo (as some would call it) was mostly used in performances during the Renaissance and Baroque period (from the 1500s – 1700s). However, it was replaced by the piano during the 18th century. This new instrument called the fortepiano or pianoforte caught the attention of many keyboard players and composers because of its unique feature in dynamics. On the piano, keyboard players could express more shades of emotion in their music. The harpsichord however, did not have this feature. It only had one volume level which was loud (forte). It was limited in some expressive features and so it became less important during the late 18th century. However, it was revived during the early 20th century when a major emphasis was placed on the performances of historical music. This instrument originally has two keyboards in comparison to the piano which has one. Its technical features are very interesting. It has strings plucked by small wedges called plectra while the strings of a piano are hit with a felt covered hammer. 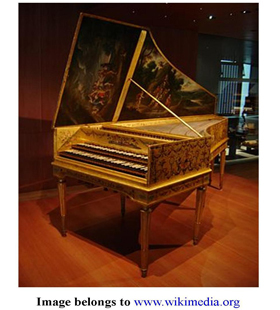 There are several harpsichordists who composed major works for this historical instrument. However, Johann Sebastian Bach is said to have composed the most piece for this instrument. George Frederic Handel and Wolfgang Mozart are two popular composers who have done compositions that are written specifically for the harpsichord. Visit Wikipedia.com for more information. 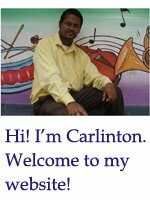 Click here to leave the harpsichord page and return to home page.